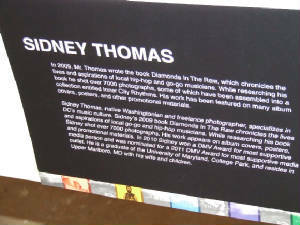 While I was doing research for my book, Diamonds In The Raw, I took over 7000 photographs at various venues around the city. I organized some of these photographs into a collection entitled Inner City Rhythms and submitted them to a panel of experts at the Corcoran Gallery of Art. The advisory panel reviewed the portfolios of over 280 photographers and I was among 30 selected to exhibit their work (2 to 6 images each) at the FOTO DC "FLASH" exhibit in Crystal City. 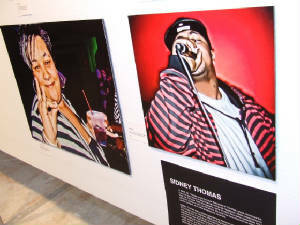 My collection consists of photographs of local hip-hop and go-go artists. The location of the FOTO DC "FLASH" exhibition is 2450 Crystal Drive 12th and 13th Floor Penthouse - Crystal City, VA (Arlington, VA). There will also be special events held in conjunction with FOTO DC which you can find out about by going to their website (www.fotoweekdc.org).